Donna remains a dynamic participant of the racing industry and enjoys an active involvement in numerous community support programs external to the racing industry. When she’s not on assignment with NBC, you will most likely find her participating in events geared towards increasing public awareness for causes that are near and dear to her, as well as sharing her industry expertise in an effort to ensure that the wonderful sport of horse racing is always moving forward, and always improving. 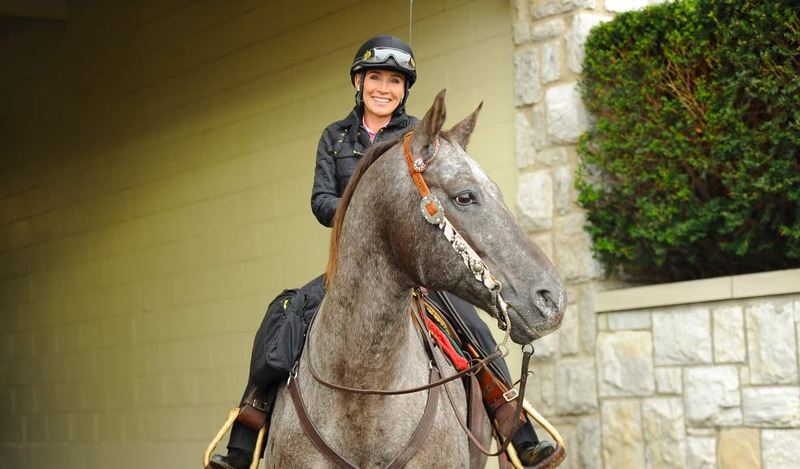 The Thoroughbred Aftercare Alliance (TAA) was a no-brainer for Donna, where she has been on their Advisory Board since this organization’s inception in 2012, and in 2019 she increased her involvement by joining their Executive Board. She also chairs their Communications Committee. The Thoroughbred industry is the first of the sport-horse disciplines to establish an exit plan for their horses. The TAA gathers and provides large scale, systemic funding for the purpose of transitioning Thoroughbred race horses into their second careers. In conjunction, they provide accreditation services to rescue and transitional organizations across the country, which allows greater oversight throughout the rehabbing, retraining and re-homing process and ensure that the thoroughbreds in this program receive the best possible care, even after they have retired from their racing careers. Many of the people that work at the track also live there. This can make traveling to and participating in social service programs difficult. Donna has been dedicated to the Backside Learning Center at Churchill Downs (BLC) and their mission because until the BLC, these workers did not have easy access to education programs and other social services. The BLC offers Spanish and English language classes, art classes, access to computers, a library, translation services, a Path to Citizenship program, community events and much, much more. They also offer after school tutoring, which has turned into a very popular and vital program for them. In many cases these children were coming home with homework to parents who did not speak English, so getting help from their parents wasn’t an option. The after school tutoring program is giving these children a chance to not just succeed, but excel. Donna served on the BLC Board for seven years. She recently rotated off of their board, but still actively serves on the planning and fundraising committees for this organization’s two biggest fundraisers of the year: Benefit for the Backside Day at the Races, and their annual Girls’ Night Out Oaks & Derby Prep. The Thoroughbred Idea Foundation aims to improve the thoroughbred racing industry for all stakeholders, especially its primary customers – gamblers and owners – through the exchange, curation and advocacy of sound, data-driven ideas, shared with and implemented by the sport’s existing entities. Donna serves on the executive board of TIF. The Thoroughbred Women’s Network (TWN), is an organization inclusive to all people who are interested in the thoroughbred horse and any aspect of the sport of horse racing. It is a free, open group reliant on the generosity of it’s members with high aspirations of uniting and advancing females throughout the community that share a common interest. TWN pairs clients with mentors—both male and female—who are already successful in the segment of the Thoroughbred industry that a TWN member may wish to enter. Donna serves on the advisory board of the Thoroughbred Women’s Network. The Jockey & Equestrian Initiative (JEI), within the College of Health Sciences at University of Kentucky, has tasked itself with studying concussion injuries and protocols for equestrians. The Initiative’s research increases the effectiveness of equestrian protection, safety, and performance measures that are used across disciplines. As jockeys tend to have a high number of concussions (Donna has had 7 concussions as well as broken her nose 7 times!) this is an area of research she finds particularly interesting. Donna serves on the advisory board of the University of Kentucky’s Jockey Equestrian Initiative. In conjunction with concerned stakeholders at Churchill Downs, Donna is currently working with the Boys & Girls Haven (BGH) in Louisville, KY., in a combined effort to mesh the BGH “Independence Readiness” Program and Churchill Down’s ability to provide part-time work for the 16 and up teenagers and young adults participating in the program. BGH has an equestrian program where many of the kids have already worked with horses, and so a career in horse racing might be a good fit for them. 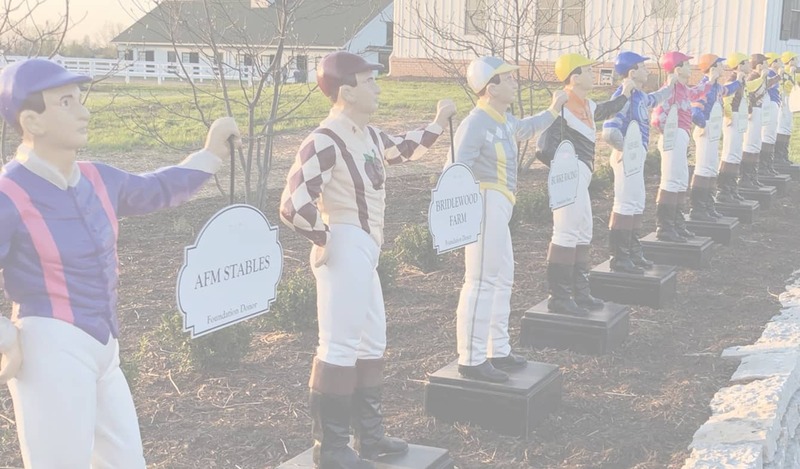 BGH also has children and young adults in their vocational programs (such as welding, woodwork and masonry) that may be a good fit for the other operational segments of Churchill Downs. Donna serves on the advisory board of the Boys & Girls Haven of Kentucky. Kentucky has the second highest child abuse rate in the country, and Maryhurst is an organization located in Louisville, KY, that provides family counseling as well as a safe haven, transitional services, and so much more to girls with a history of trauma. Donna has been a guest speaker for Maryhurst and used to teach yoga to the girls in residence there on a volunteer basis. She remains a passionate supporter of this wonderful organization.